Listed below are some reminders and information regarding our rules & policies for user group rentals while staying at the Cape Cod Sea Camps. For a complete listing of our Camp Rental Policies and Information, please refer to the “Group Leader Info Packet.” We apologize for the length of this document; Cape Cod Sea Camps abides by Massachusetts state law and follows guidelines and standards set forth by the American Camp Association. We want your experience and other customers using our property to be a fun and safe one! Alcohol & Drugs: Drugs, under no circumstances, are permitted on our campus. As we work hard to create an environment that is safe & comfortable for children and adults alike, we ask that alcohol not be part of your experience here. We find that a number of our guests prefer to limit their exposure to alcohol. Unless you have been given written permission from the Cape Cod Sea Camps, alcohol & open container drinking is not permitted on our campus. CCSC abides by Massachusetts state law and follows guidelines set forth by the American Camp Association. Smoking: For fire safety & health reasons, smoking is not allowed in any of our buildings and permitted only in designated areas. Quiet Hours: are respectfully observed from 10pm to 7am. We share the campus with multiple rental groups, please be considerate to others. Supervision: Each user group is responsible for the safety and well-being of their members. The following staff/camper (Staff must be at least 18 years of age) ratios are recommended when on camp property: Staff should never be in a 1:1 situation. Please plan accordingly. Cabin Assignments: Sleeping accommodations will be determined by the size of your group and assigned by CCSC. Please do not spread out into other areas of camp as other groups may have reserved buildings that may look vacant. Please be aware that we reserve the right to schedule several groups concurrently. We will plan separate sleeping areas and try our best to accommodate reservation needs. Campfires: Campfires are only allowed in existing council ring fire pits. Please let CCSC Staff know upon your arrival if you plan on having a campfire. Wind & other weather may cancel the ability to have a safe campfire. Campfires must be extinguished by 11pm. Swimming: For liability reasons, there is no swimming allowed on our property without a CCSC staff certified lifeguard on duty. Swimming must be scheduled ahead of time by the group leader. If you insist on swimming without a lifeguard, please head to one of the public town beaches and off CCSC property. Aquatics Activities (boats, kayaks, etc. ): CCSC does not allow use of our boats or equipment for boating activities, if you bring your own equipment please launch at a public landing and not on Camp property. Animals: No pets please, animals are not permitted in cabins. Car & Bus Parking: Parking for vehicles is located up in front of our Main Office, ‘Big House’, and along the driveway leading up to Camp. Buses may use the flagpole circle for drop off and the best area for bus parking is along the driveway leading up to the Main Office on the grass, buses can park parallel with the road and there is plenty of space to leave overnight. Please limit your driving through Camp and keep speeds painfully slow, 10mph and below. Emergency Services: The camp does not provide an emergency vehicle or emergency transportation to local hospitals. Groups must make their own arrangements; each user group is responsible for the well-being and care of all members of their party. We strongly encourage bringing a medical staff, nurse, trainer or have chaperones trained in CPR/First Aid. Any injuries requiring treatment by outside healthcare providers must be reported to the camp office within 24 hours of the injury so we can document the occurrence. To facilitate treatment of injuries by local healthcare providers, rental groups are asked to collect the following information from all participants: Name, address, phone number, Emergency contact info, known allergies, health conditions requiring treatment, restrictions or other accommodations needed during their stay, and signed permission slips/medical waivers for minors whose parents will not be on the property. 911 Emergency: Local Brewster Fire Dept. and Ambulance will respond to CCSC. If you call 911, a CCSC Staff member must be notified immediately. 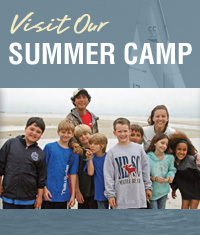 Cape Cod Sea Camps: 508-896-3451, ext. 211 will get you a “live person”, i.e. Director on Duty. Bicycles, Skateboards, Roller Blades: Only permitted on the roads, please do not use the tennis courts or basketball court for these activities. If bicycles, roller blades, skateboards, etc. are used, individuals must wear helmets and/or protective gear. Group Contract: Outlines your requested and agreed upon estimated numbers, accommodations, meals, charges and CCSC terms & conditions. Please review and sign a copy. $300 non-refundable registration deposit: Required with a signed contract, this will be applied to your overall balance and reserves your space at Camp. Confirmation Form: Once we have received and processed your contract, we will send you a confirmation form that outlines any changes that may have been made, policy reminders, requested meal times and allergy information. Please fill out any blank information and return to us 6 weeks before your arrival. Confirmation Payment: We ask for ½ payment six (6) weeks before your arrival along with your final numbers, requested meal times and any requested changes. Balance Due: The remaining balance is due one (1) week before your arrival, any charges that are incurred during your stay will be billed and given to the leader at the end of your stay. Current Tax Exempt Certificates: If your organization is tax exempt, CCSC must have a current copy of your tax exempt certificate on file. If we do not have a current copy, or your tax exempt status has expired, you will be charged for meals tax. Cancellation Policy: In the event of cancellation, if Cape Cod Sea Camps is notified four (4) weeks prior to your visit, a refund of 50% of the Confirmation Payment received will be issued. The $300 registration deposit is non-refundable. Arrivals & Departures: Group Leaders should check in at the main office or with an on duty CCSC Staff and pick up your Group’s Information Packet. Your Group is welcome to arrive on our grounds at any time, but please note that we have standard check in/check out times for our cabins. Individual guests should check in with their appropriate “Group Leader” once on the grounds; Leaders are responsible for communicating all CCSC information and policies to members of their group. Cabins are assigned to each group in advance, please check with a group host or your leader before moving into your assigned building to make sure they are ready for your arrival. Group Leaders should check in at the main office and meet with a CCSC Staff to receive your Information Packet outlining your reservations while staying at CCSC. Please arrange with a Group Host to check out your cabins upon departure. We ask that you strip the beds and pile linens in the center of the cabin, shut all lights/heaters off, close windows, quickly sweep the building, take your trash to the closest dumpster, and a quick clean up and check of the bathrooms and showers. Thank You! Groups may remain on the property if communicated, but should use communal bathrooms and not re-enter the cabins once they have been cleaned and prepped for another arriving group. Cabin Descriptions: Cape Cod Sea Camps simple, charming, and rustically furnished cabins are open buildings suited for anywhere from 12 – 20 people, most have a basic bathroom facility, shared shower house facilities, bunk beds and bureaus or cubbies. Pillows and a sheet covered mattress are provided included in your accommodation charges. We recommend bringing sleeping bags, but can provide blankets and additional linens for an extra charge. Below are descriptions of our buildings and the amenities in each. Rustic Cabins – (Cabins 71 – 79 & 10 – 12) Our most basic cabins with bunk beds, but NO bathroom facilities in the cabins and no heat. They do have a common bathhouse with bathrooms and showers for male and female located in close proximity to the buildings. Standard Cabins – These are unheated bunk house cabins with bathroom facilities only. There are shared shower house facilities adjacent to the buildings. Convenience Cabins – (Cabins 82, 83, 17 – 19, 49) Bunkhouse cabins with heat, showers and bathroom facilities. Dorms – (Building 40 & 25) Bunkhouse dorms have heat, showers, bathrooms and semi-private sleeping arrangements. Private Cabins – (Cottages 57, 58, 26 & 85) These buildings are small rustic cottages that are suited for 1 or 2 people generally with bathrooms, kitchens and living areas. Some of these buildings also have heat. MEAL SPEECH: A brief talk will be scheduled with the CCSC Staff to be given before the first meal and inform all guests of our meal policies and rules for meal services in our dining facility. MEAL SCHEDULING: Meals are scheduled ahead of time before your visit on your confirmation form, there is no requirement to use CCSC for food while staying with us. MEAL TIMES: Each group is allotted 30 minutes for each meal unless otherwise specified ahead of time. If additional time is needed, please communicate that during the reservation process as it may affect other Groups having meals with us. ALLERGY CONCERNS: Our kitchen staff is more than willing to help cater to allergy concerns assuming we are aware of these needs well in advance. Your current meal information is listed on the meal sheet attached to this confirmation, which must be completely filled out and returned six (6) weeks before your arrival. Our meals always include a hot option and an alternative. We schedule meal times based on sizes of groups and the requested times of each group, trying our best to meet everyone’s individual needs. In addition to our standard menu, we also offer specialty meal items for groups; please refer to our rate sheet for pricing. Computer Access & Telephone Services: There are outdoor public phones located next to the Main Office. Cell phones will work at CCSC, but we ask you restrict your group to limited use to keep the rustic feeling of our Camp and respect other guests’ experience. There are no phones in the cabins and any incoming messages will be taken and delivered to you as promptly as possible. The phone number is 508 896 3451. Wireless Internet access is available in the Dining Hall, Boathouse, and Art Center areas free of charge. Building 30 has a small computer lab available for limited use by staff and adults; this area is locked so please ask a CCSC staff member for permission to use this area. Meeting & Recreation Spaces: All of our group customers share the grounds during their stay with us, however, we ask if you have activities planned that require use of certain areas, please fill out the reservation request to request to reserve those areas for particular times. Reservations are made on a first come/first serve basis keeping in mind that other groups may also want to use that space, so please be considerate with your plans – we have lots of space for all! Clothing for all types of weather! Bring an extra day’s clothing just in case. Staff: CCSC Hosts will be on duty during your stay to help with your group and available mostly at meal times. The Office, or ‘Big House’, is open 7 days from 9am – 4pm during our summer & rental seasons. We are open Mon. – Fri., 9am to 4pm during the winter months. Sports Equipment: CCSC has a sports equipment box outside the main office with limited equipment for use,groups should plan to bring their own sports equipment for activities.